Another on to Rock the Red! Deepika is all about grace and elegance blended in sensuousness with a perfect balance. She redefines all the fashion norms and is capable to break through all the stereotypical fashion statements. Rawr! 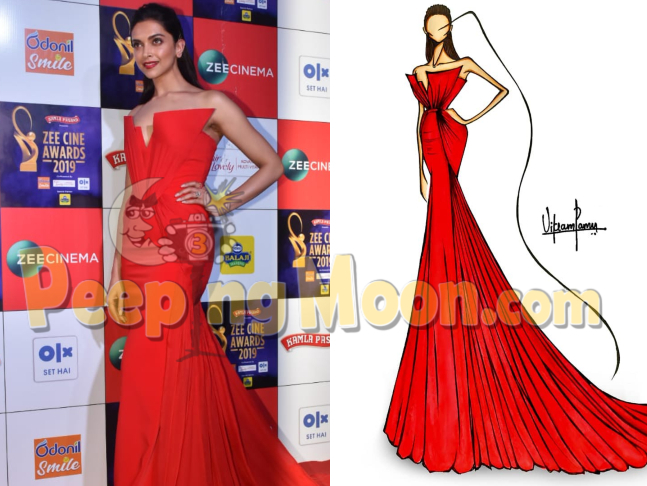 Styled by Shaleena Nathani, DP looks raw and spicy in this custom-made lava red structured gown by designer Gaurav Gupta. She is acing the pulled-back hairdo, courtesy Gabriel Georgiou and those smokey eyes and red lips are a real stunner, kudos to Sandhya Shekar. You are a real head turner pretty lady!